The Asclepieion at Epidaurus was the most celebrated healing center of the Classical world, the place where ill people went in the hope of being cured. Found in the sanctuary, there was a guest house of 160 guestrooms. There are also mineral springs in the vicinity which may have been used in healing. The sanctuary of Asklepios and is an UNESCO World Heritage Site. The prosperity brought by the Asklepieion enabled Epidaurus to construct civic monuments too: the huge theatre that delighted Pausanias for its symmetry and beauty, which is used once again for dramatic performances, the ceremonial Hestiatoreion baths and a palaestra. The theatre is marveled for its exceptional acoustics, which permits almost perfect intelligibility of unamplified spoken word from the proscenium to all 15,000 spectators, regardless of their seating. The theater still used today for performances in ancient Greek dramas or comedies from Greek Festival during July and August. 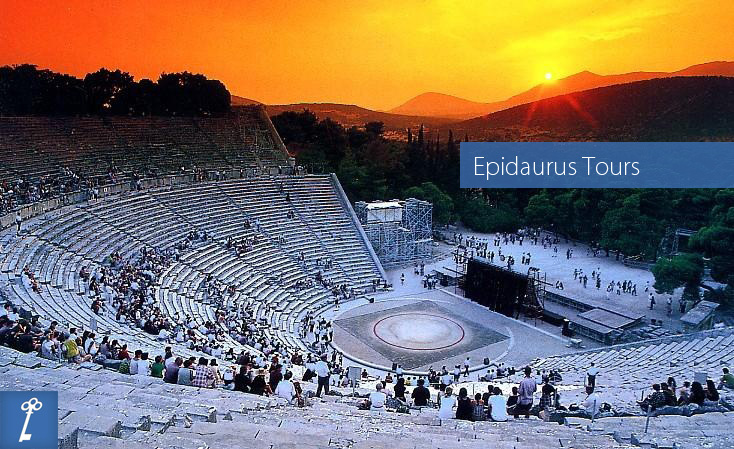 Explore the glory of ancient Greece with an Epidaurus tour from Athens with Keytours. With a unique tour visit and enjoy five UNESCO'S world heritage site.